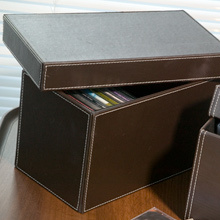 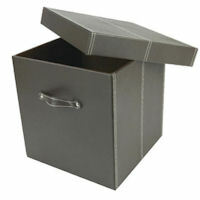 Smart lidded storage box to store DVDs. 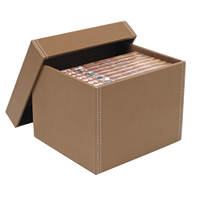 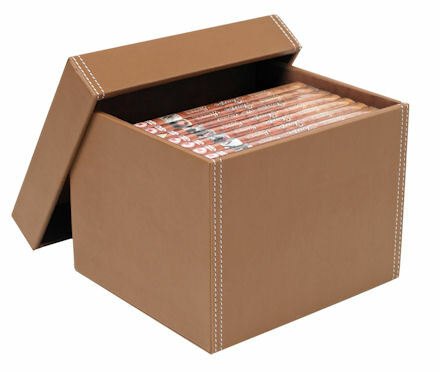 Holds up to 12 DVDs and is a great way to clear media clutter in the lounge. 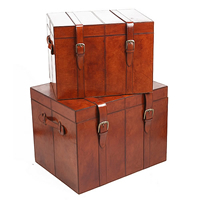 Accessorise with our larger matching faux leather cubes sets (see below) which make great side tables beside the sofa and are a perfect height for bedside cabinets.